National Days – Page 2 – every day's a holiday! The Nepalese flag, the only non-rectangular national flag in the world, symbolizes the two religions of Nepal---Buddhism and Hinduism---and the peaks of the Himalayas. For most of the half-century or so since Democracy Day was established in Nepal, the actual practice of democracy has been stifled or totally repressed. 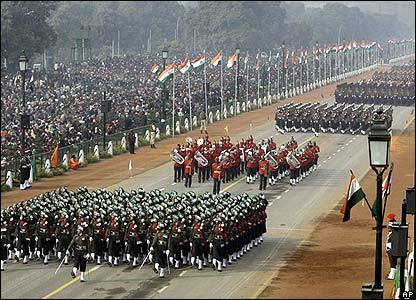 Ironically, Democracy Day marks the return to power of a monarch, King Tribhuvan, in the early 1950s. The country had been run by a succession of despots known as the Rana dictatorship. For generations the Rana allowed the monarchy to remain but used the king as a puppet. In 1950 the pro-democratic King Tribhuvan fled the country with most of his family to India. The Rana declared the king’s 3 year-old great-nephew Gyanendra as the new king, as he was the most senior member of the family left in the country. For whatever reason foreign powers refused to recognize the new king, and Tribhuvan, with support from India was able to topple the Rana rule. Soon after, Tribhuvan’s son increased the monarch’s power, virtually taking over Parliament. The power of the monarch waxed and waned over the next half century. In 2001 the Crown Prince Dipendra went on a shooting rampage, killing the entire royal family and then himself. Gyanendra, the former 3 year-old monarch, was once again the most senior member of the royal family left in the country. He reclaimed the throne, now at age 53. The Parliament regained control in 2007 and voted to abolish the monarchy once and for all. King Gyanendra’s reign, and the two and a half century old monarchy, is set to end in April this year  after national elections are held. 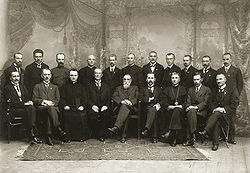 “The Council of Lithuania, as the sole representative of the Lithuanian nation, based on the recognized right to national self-determination, and on the Vilnius Conference’s resolution of September 18-23, 1917, proclaims the restoration of the independent state of Lithuania, founded on democratic principles, with Vilnius as its capital, and declares the termination of all state ties which formerly bound this State to other nations. These short paragraphs are what the nation of Lithuania celebrates today, February 16, as its independence day. A declaration that declared an end to over a century of Russian occupation. 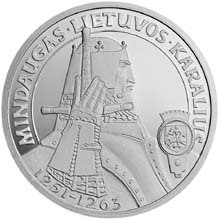 Lithuania was first united in the thirteenth century by the enigmatic Mindaugas. (No, he was not a Harry Potter character, that’s Mundungus.) Mindaugas was the first and last King of Lithuania. He converted to Christianity to attain the support of the Pope and the Livonian Order, but reverted back to Paganism after. He and his wife Morta were crowned King and Queen in 1253. When she died ten years later Mindaugas made the fatal mistake of taking Morta’s sister as his wife. She was already married to a former ally of Mindaugas, Daumantas. Mindaugas was used to annexing numerous lands, but Daumantas did not take the annexation of his wife so readily, and helped Mindaugas’s nephew assassinate the King along with two of the king’s sons. Never again was there crowned a king of Lithuania. 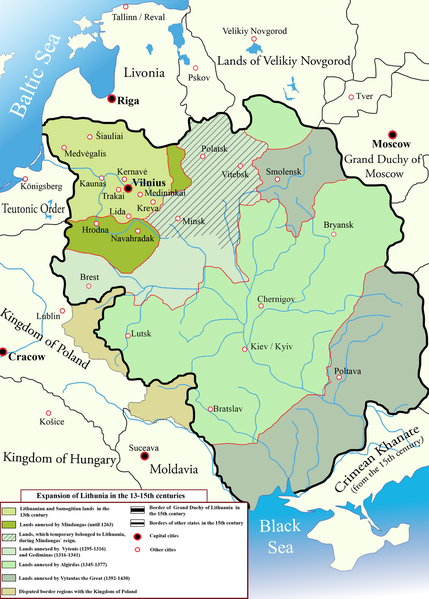 By the end of the 1300s Lithuania was the largest state in Europe. Its land included parts of what is now Belarus, Ukraine, Poland and Russia. 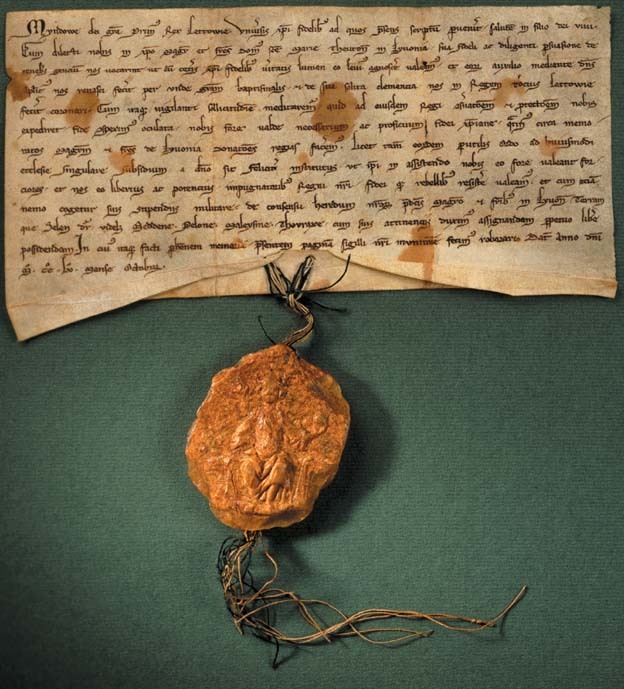 One gift the Lithuanians bestowed upon Eastern Europe during the 16th century was the codification of its laws in the Three Statutes of Lithuania. The Sobornoye Ulozheniye, the first complete code of Russian law, was based in part on the Lithuanian codes. A political bond with Poland endured in various manifestations through the 16th, 17th, and 18th centuries until the Polish-Lithuanian Commonwealth was eaten up piece by piece by the superpowers growing around it: Prussia, Austria, and mainly Russia. Lithuania remained under Russian control for over a century. During World War I the Lithuanian government exploited the weakness of the Russian Empire and the animosity between Russia and Germany. A Council of Lithuania passed a series of Acts starting in late 1917 and early 1918 which repudiated Russian rule. Germany, which occupied parts of Western Russia, was happy to see pieces of the Russian Empire break away, thinking they would pick up the crumbs. However, when Germany began losing the war in 1918 their position to negotiate declined. And with the Act of Independence of February 16, 1918, Lithuania achieved independence from both Russia and Germany. The celebration was short lived. During World War II Lithuania was overrun by Soviet tanks on their way to Poland, followed by German tanks on their way to Russia, and again by the Soviets on their way to Berlin. January 13, 1991, the Soviet Union, fearful of increasing nationalist sentiment in Lithuania invaded the city of Vilnius and attacked the TV tower and other buildings. Images of the attack spread throughout the world, and were influential in the eventual fall of the Soviet Union eight months later. The short Act of Independence of 1918, with its emphasis on democratic principles, was cited by Lithuanians as the inspiration for and the basis of the rebirth of their sovereign state. 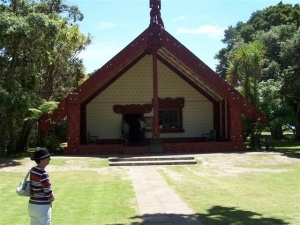 New Zealand’s national holiday celebrates the signing of the Treaty of Waitangi on this day (February 6) in 1840. The word ‘celebrate’ is disputed though. The treaty was the original agreement between representatives of the British Crown and the Maori chieftains, and its signing is considered the birth of New Zealand. However, to many Maori—the indigenous descendants who make up about a sixth of New Zealand’s population—the Treaty represents the country’s ‘original sin’. The problem with the Treaty of Waitangi stems from discrepancies between the English and Maori translations (translated by a well-meaning but less-than-fluent English missionary in a single night) so the chieftains and the British never precisely agreed on the same stipulations. The New Zealand government solved this dilemma by, when in doubt, not honoring the Maori version. This didn’t sit well with the Maori, whose protests against the loss of their lands fell on deaf ears for over a century. Once heralded as a symbol of victory for indigenous rights, the Treaty has become the cornerstone of a growing awareness of social injustices committed against the Maori, who protest each Waitangi Day. Oh, and Waitangi is the name of the river that was the site of the Treaty’s signing. It means “noisy” or “weeping river”. Sri Lanka has always been an island shrouded in mystery. Actually, the word serendipity comes from the old name for Sri Lanka (Serendip), not the other way around. 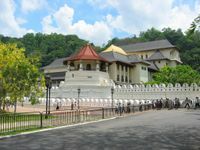 “Serendip” derived from the words Sinhala, “dwelling place of lions”, and dwipa, or “island”. An ancient Persian fairy tale known as The Three Princes of Serendip told the story of three wise princes of the region whose collective intelligence led to good fortune, but only when they weren’t looking for it. McGowen is right though. Sri Lanka is long overdue for some good karma. In addition to the devastation of the December 26, 2004 tsunami, the small island nation has been plagued with civil war ever since its independence, which it won from the British on this day in 1948. Every summer, Sri Lankans display the Sacred Tooth — believed to be the Buddha’s left canine — in an elephant procession known as Perahera. On January 26, 1808 Major George Johnston led his men to the residence of Governor William Bligh and forcibly relieved him of his post. This remains the only successful coup by force in Australia’s history. But that’s not why they celebrate. In fact the first recorded celebration of Australia day was 200 years ago, on January 25, 1808, the night before the coup. They called it First Landing or Foundation Day. 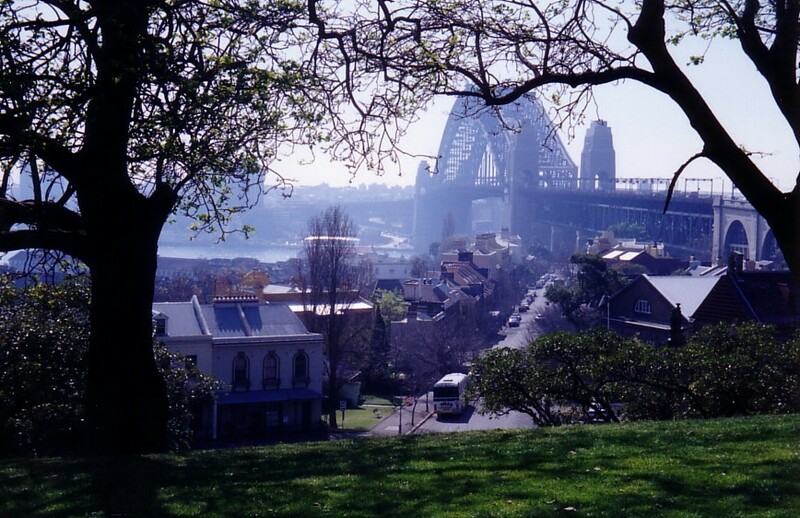 It marked the 20th anniversary of the landing of British ships in what is now Sydney, with the purpose of setting up a permanent penal colony for the Bad Boys of Britain. 24 year-old George Johnston was the first officer to set foot on Sydney Cove sand that day. According to legend (ie. Wikipedia) he was so ill from the boat trip, he had to be carried on the back of convict James Ruse. Ruse had been sentenced to death back in England for stealing two watches. This was later commuted to 7 years in Australia. Ruse became Australia’s first successful European farmer. The report prophesied correctly: Australians are a patriotic bunch, more so in recent years. But even today 1 in 4 Australians was born in another country. And 2 in 5 have at least 1 parent born abroad. Heavy immigration has not been without conflict. In 2005, riots in the beachside suburbs of Cronulla targeted Middle-Eastern immigrants. It was the first riot to be fueled by text messaging. This year Australia pays tribute to a couple whose heroism will be remembered for days to come. Lorraine and Robert Steel were honored (I mean honoured) with Order of Australia medals in part for their creation of the Parkes Elvis Festival in western New South Wales. It’s now the world’s biggest Elvis festival, holding the Guinness World Record for most Elvis impersonators in a single place. Standly quietly in the desert, L’Abre du Ténére was the only tree for 400 kilometers in any direction, earning the reputation as the most isolated tree in the world. It served as a natural lighthouse for travelers and traders crossing the Sahara. 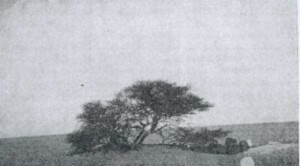 In 1939 a team dug a neaby well to find out where the tree got its water. It determined the trees roots had to descend 35 meters to reach the source. The Tree of Ténére was the sole survivor of a forest than once dominated the region. In fact this part of the Sahara was a fertile grassland, which ancient artworks depict supporting a multitude of animals. Ten thousand years of “global warming” entirely dried up the grassland. Today 80% of Niger is covered by the Sahara desert. Most Nigeriens live in the southwest corner of the country, where a small stretch of the Niger River flows in from Mali on the west and out through Nigeria to the south. For centuries the unusual path of the Niger River baffled European explorers, who assumed its source was an unchartered snow-topped mountain rather than from storm run-off. 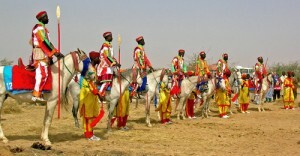 Because of its remoteness, the Niger region–ancient domain of the Songhai–was one of the last casualties of colonization. The French, intent on linking their holdings from the Niger River to the Nile, subdued Tuareg resistance and confiscated tribal lands in 1922. During WWII, the French found themselves similarly occupied, and the Vichy government gave Nigeriens the right to vote. On December 18, 1958, Nigeriens voted to become an autonomous nation within the French commonwealth. Full independence came two years later. 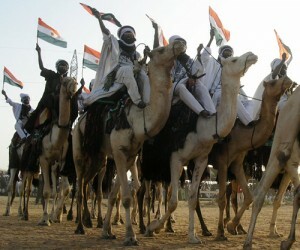 December 18 is celebrated as Niger’s National Day. Watching Nigeriens celebrate National Day, you’d hardly believe the title that the UN Human Development Index bestowed upon the nation in 2006: “Least Livable Country in the World.” Nigeriens are among the most resourceful and spirited people in the world. 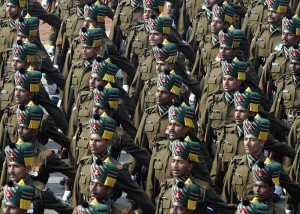 The nation has navigated for centuries though colonialism, coups, drought, famine and war for centuries. It has few precious natural resources. No oil like its neighbor to the south, Nigeria. No diamonds like Sierra Leone. No ocean access. A new gold mine started production in 2007, which may help raise Niger’s GDP. The land-locked nation gained notoriety in 2003 for something it didn’t do with its most highly-safe-guarded natural resource: it didn’t sell yellow-caked uranium to Iraq, as U.S. intelligence once suspected. 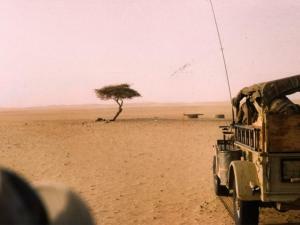 After hundreds of years of surviving the harshest desert conditions, the lone survivor of the Ténéré forest succumbed 14 years later, not to nature, but to the bumper of a reportedly drunk driver. You’ve heard all about the city on its way to becoming the 8th wonder of the modern world, Dubai, but what do you know about the country in which it lies: the United Arab Emirates, or UAE? The UAE’s robust economy stems partly from its leaders decision to reinvest oil and gas revenues in the country’s infrastructure, to diversify the economy, and to attract foreign capital and workers. 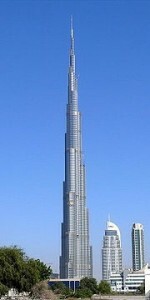 Dubai boasts the tallest building in the world, the Burj Dubai. At over 800 meters, it’s nearly twice the height of the Empire State Building. But the capital of the UAE is not Dubai. It’s Abu Dhabi. Abu Dhabi is the largest of the UAE’s seven sheikdoms, comprising 80% of the country’s land. Combined with Dubai, the two sheikdoms make up the vast majority of the country’s population. Abu Dhabi holds the Sheikh Zayed Mosque, named after the country’s first President. The mosque can accommodate 40,000 worshippers, and is one of the largest mosques in the world. The UAE has eight public holidays, of which six are Muslim holidays. The other two are New Year’s Day (January 1) and today, December 2. (ameinfo.com) National Day marks the anniversary of the union of the seven sheikdoms to form the UAE after British withdrawal in 1971. UAE has the world’s highest net migration rate. Only about a fifth of the country’s residents are citizens. Most of the remainder are expatriates from all over the globe. Though the UAE is one of the Middle East’s great economic success stories, there has been concern during the financial downturn. Recently, the corporation Dubai World — the company famous for its unprecedented housing projects — made headlines for defaulting on half its $60 billion debt. Ironically, for the average UAE resident, there’s no such thing as bankruptcy. If you can’t pay your debt, you go to jail. (The Dark Side of Dubai – Johann Hari, The Independent) Though the UAE government refused to cover Dubai World’s losses, Asian banks have stepped in with a pledge of support. Evidently Dubai World has learned from its Western counterparts. Lose millions = jail. Lose billions = bailout.